Ladies and gentlemen, are you ready to rock? Are you ready to have the greatest concert experience of your life? I know I am. Herbcraft is here to give you that awesome experience. Their new album Wot Oz is definitely perfect for the people who lived through the sixties and those who simply love the music. Mastered by Timothy Stollenwerk, Wot Oz will take some of you back to the days of Woodstock and make you relive some of your greatest memories. Looking at the headliners for the Heart and Soul Tour, one might wonder how Chicago and Earth Wind & Fire ever wound up sharing the stage. After hearing them rock the house at Jiffy Lube Live like I did on Friday night, one might wonder why every concert isn’t this much fun! This is going to be a wonderful day, and Teen Daze is the reason for it. His new album Morning World is just the right album to start your day with. Based in British Columbia, Canada, Teen Daze is a producer who was discovered when he posted his songs on his Tumblr account. His debut EP Four More Years was released in 2010 and he’s been a hit ever since. Now with the release of his newest album Morning World, Teen Daze has shown us what it is that made him such a hit with fans. New York based electronica band Telepathe (pronounced “telepathy”) is making waves with their album Destroyer. Their album was mixed by Matty Green and inspired by California Sci-fi. As a science fiction fan, I can truly appreciate the decision to give this album a sci-fi sound. The sound effects combined with the futuristic music make this album fun and exciting. Telepathe’s fans—especially fans of the science fiction genre—will be able to rock out to each track. Legendary blues artist Warren Haynes has released a series of hits throughout his career, and the hits keep on coming. Recently, Warren released his latest album Ashes & Dust. Accompanied by the band Railroad Earth, Warren’s album is filled with the sounds of blues and southern rock. Longtime fans will be excited about this new album and those who are unfamiliar may become new fans of his work. Award winning singer Joss Stone has struck gold with her newest album Water For Your Soul. The England born singer has made her mark not only in the music world but on the silver and small screens as well. Produced by Stone, Damian Marley, Connor Reeves, Jonathan Shorten and Steve Greenwell, Water For Your Soul stands out as an amazing album and one everyone can groove to. High Tides’ new self-titled album has all the sounds of summer. Comprised of the “hazy synth” duo Warren Kroll and Steven Lutes, High Tides’ album is performed entirely with a synthesizer and few vocals. Although very creative, this album has its hits and misses. Saturday, July 25th – Ariana Grande made a vibrant performance for her fans at the Verizon Center for The Honeymoon Tour. 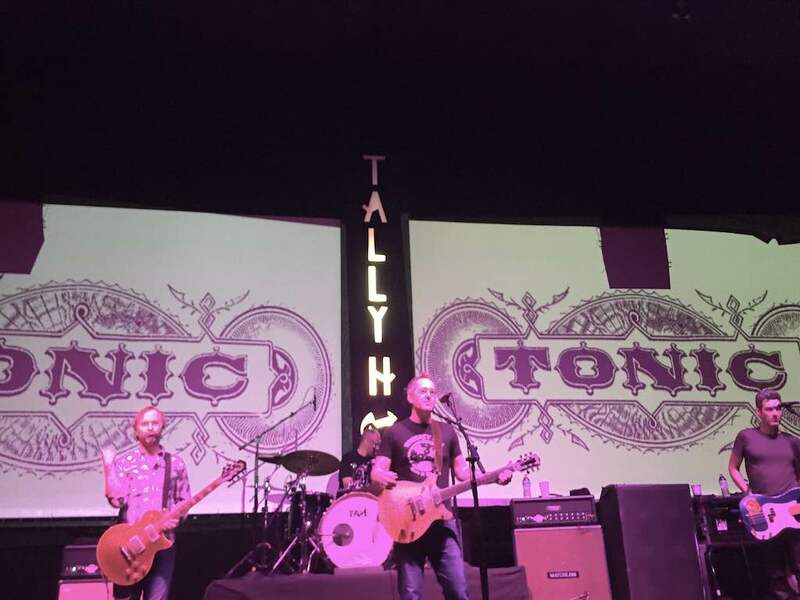 Tally Ho in Leesburg welcomed Tonic to their stage on Tuesday night. The crowd spanned generations of thrilled fans. PJ Morton’s new album/DVD Live Show Killer is truly outstanding. Recorded live in front of an intimate audience, PJ’s performance is one of the most awesome experiences his fans will have. A keyboardist for the rock group Maroon 5, PJ has branched out as a solo artist and shown us that he has soul. His album includes soulful versions of TV theme songs, as well as Otis Redding’s Try a Little Tenderness and Bob Marley’s Is This Love.